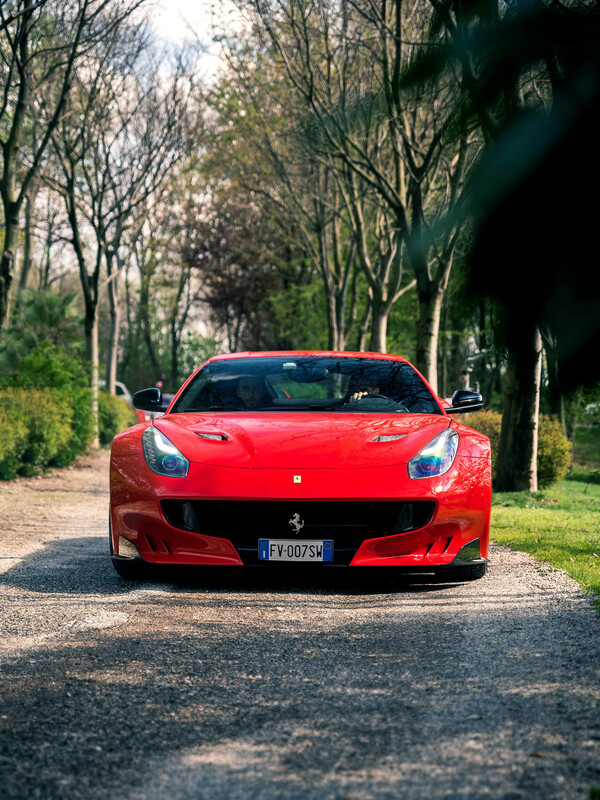 Discussion in 'FF/GTC4Lusso/F12/812S' started by ROMO, Oct 13, 2015. This is the tdF with the gas door painted to! NürScud, stavura, BaronM69 and 2 others like this. back in the early 1970's there was a guy in Toronto Canada nicknamed 'Beirut Bill' who drove around in a Fly Yellow Ferrari Daytona coupe with the blood trough painted black. He drove that car everywhere! That's where the car was back in March 2018. This Rosso Dino TDF came to India in Sept 2017, the car is in Singapore now and shares garage with a yellow Special Aperta. NürScud, BaronM69, Tu160bomber and 4 others like this. NürScud and of2worlds like this. Gents - do any of you have a roster of F12TDF’s? If so, many white were delivered? A shield-less Tdf.... Rare and super-hot indeed! The F12 TDF is probably one of the the most customized cars in the history of Ferrari LE cars. I still see pictures posted today that surprises me! F140C and of2worlds like this. Tu160bomber and Roman456 like this. bwshihtzu, of2worlds and F140C like this. of2worlds and F140C like this. They painted the gas cap, first time I've seen that done. F140C, Tu160bomber and of2worlds like this. looking nice in the seldom seen white; is that for 'F12KID' ??? Tu160bomber, REALZEUS and of2worlds like this. F140C, Makuono, Tu160bomber and 2 others like this.